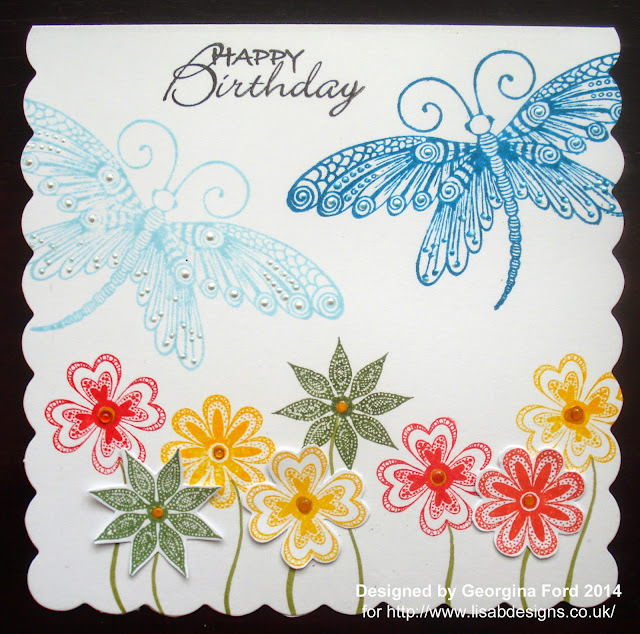 To make this card I started by stamping the Zen Butterfly stamp in Stream and Aqua Adirondack ink pads onto a 148x148mm scallop edge card blank. Along the bottom edge of the card I stamped the Mini Zen Flowers stamps with Sunshine Yellow, Watermelon and Meadow Adirondack ink pads. 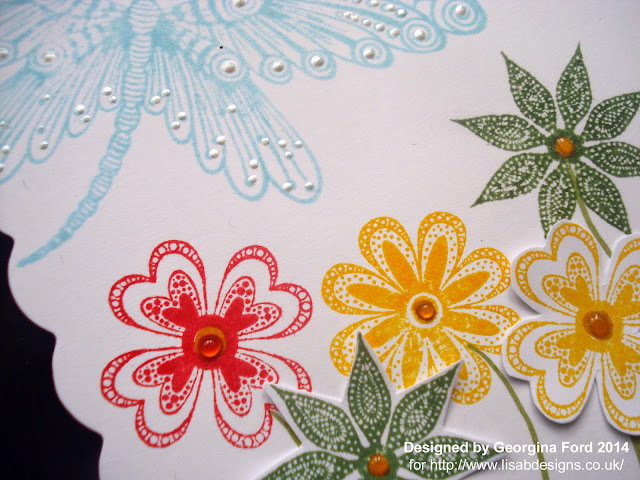 I also stamped flowers on a separate piece of card which I cut out and added to the card. I drew in flower steams with a Distress Marker. 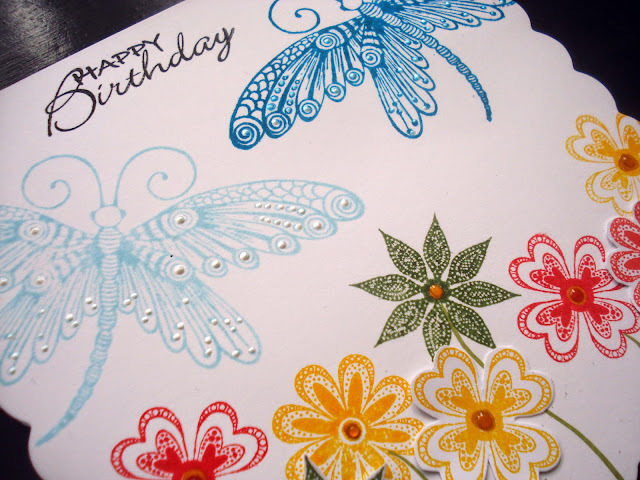 I used a sentiment stamp from Hobby Art's Birthday Collection stamp set which I stamped in black ink. 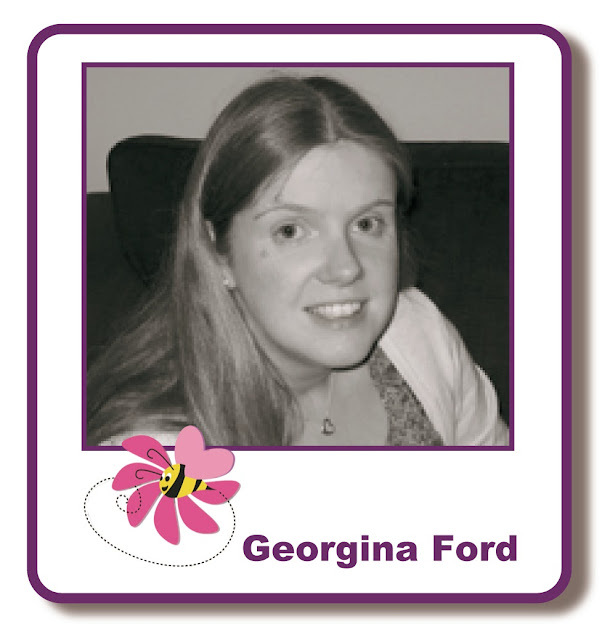 To finish the card I added Opal White Liquid Pearls to the butterflies and Glossy Accents to the centre of the flowers.